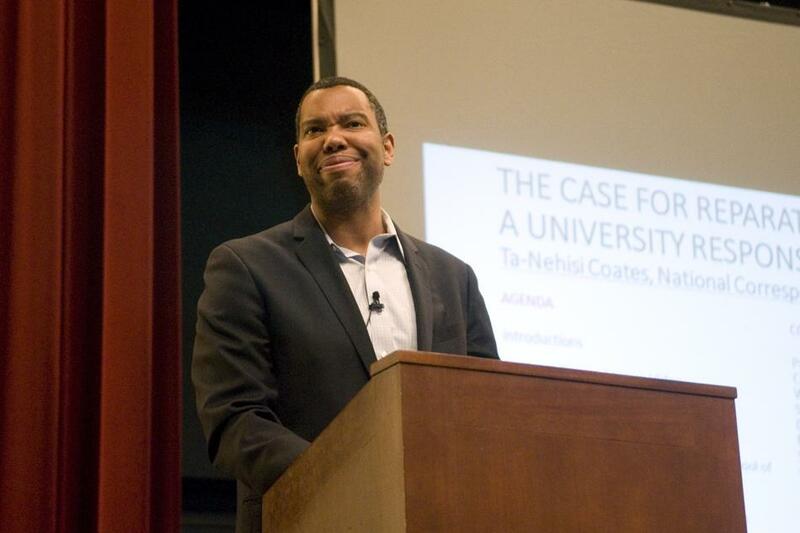 CHICAGO — Ta-Nehisi Coates, a national correspondent for The Atlantic, spoke about institutionalized racism against black Americans on Tuesday at Loyola University Chicago. Several Northwestern students traveled to hear Coates speak at the Rogers Park campus. Echoing his award-winning piece “The Case for Reparations,” Coates discussed his proposal for reparations, the idea that the United States should give compensation to the black community because of America’s history of oppression. He analyzed how racist power structures throughout U.S. history have led to present-day issues such as education inequality and police brutality. The event also touched on local issues in the Chicago neighborhood. The North Lawndale community, where black people were excluded from housing, was highlighted in a video played at the start of the event. After World War II, people exploited neighborhoods such as Lawndale by buying houses from white people and reselling to black people after tremendous price increases, Coates wrote in his award-winning article. With the Federal Housing Administration’s refusal to lend to black people, Chicago’s black community was confined to overpriced housing in the “black ghetto” neighborhoods of the South and West Side. After Coates’ speech, the event featured a panel discussion with him, Loyola faculty members and Billy Brooks Sr., an activist from the North Lawndale community and a Black Panther member in the late 1960s. SESP sophomore Jacob Rosenblum, who read Coates’ reparations story for a SESP class, said the story made him think more critically about systemic racism versus isolated incidents of racism.